The most seaward of the gardens - Far Garden - is a colourful fringing reef which provides good shelter from the prevailing winds. Diving here is comfortable throughout the year. This dive site is characterised by a smooth bottom reaching 15 - 18 m of depth just before a steep wall dropping to more than 40 m. You can decide whether to stay at a shallower part or reach a greater depth along the wall which is for experienced divers only. Here the reef drops to a depth of more than 40 m, at which point is a deep cave known as "The Cathedral". Near Garden, at the north entrance to Na'ama Bay, is one of the oldest dive sites in the region. It is also popular for night dives. 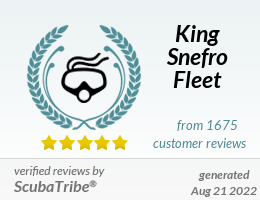 This site is suitable for all levels of diver. A gentle slope descends to 25 m and then more steeply to depths of 50 m and beyond. In some places along the slope you may find sand channels where blue spotted stingrays are resting half hidden. As both sites are closed to Na'ama Bay many glass-bottom and daily boats visit this spot.